The healthcare industry depends on phone calls more than any other industry. Calls matter. This White Paper is for doctors, office managers, agencies that work with the industry, hospitals and clinics. 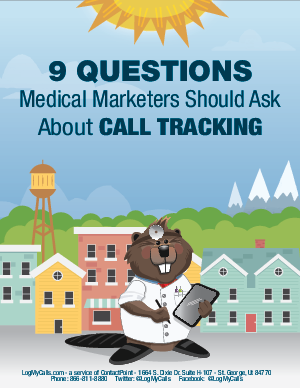 This guide discusses how to determine if you need call tracking, how call recording can help you be HIPAA compliant, and how to automate your marketing from call tracking. It will also provide a brief overview of Conversation Analytics. These are the questions that you NEED to ask every call tracking vendor. These questions will ensure you choose the right call tracking vendor for your needs.